Caribbean SEA works to make a difference from within. We work with business leaders from island nations who will sponsor local environmental projects. from the Ridge to the Reef. The Caribbean Student Environmental Alliance is devoted to clean water, both in the Caribbean and in the southeastern United States. We run camps and educational programs in Caribbean countries like St. Lucia and Dominica to educate children and teachers on how they can impact water quality in their areas. We also maintain a presence in the United States through our TenneSEA program to help our kids in the southeastern United States make the connection between our everyday actions and our water quality. We are rewarding homeowners, businesses, schools and churches for taking care of our water by starting in their own yards. It’s easy using your credit card. 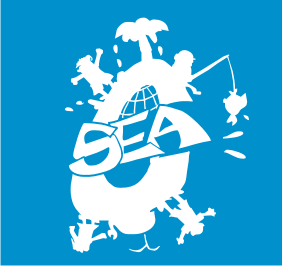 The Gear Closet is a re-sale and consignment store for outdoor gear and clothing in Chattanooga raising funds for Caribbean SEA and TenneSEA clean water projects. CLICK HERE to sign up for Kids 4 Clean Water Summer Camp! Have fun playing in Chattanooga creeks and learning about science! Each ticket includes a raffle ticket for a chance at some awesome prizes and a one year digital subscription to Paddling Magazine. All proceeds benefit the Caribbean and Tennessee Student Environmental Alliance’s clean water projects, so through buying a ticket, you’re impacting change. Tickets are $15, and are available at the door, or online. They can be found on tvccpaddler.com, or purchased at the link below for non-members. Help support us by shopping for, donating, or consigning outdoor gear at The Gear Closet. All profits go to fund clean water activities and summer camps for TenneSEA Kids 4 Clean Water. Shop with AmazonSmile and Donate to Us! Did you know that you can donate to Caribbean-SEA with every purchase you make on Amazon? Consign Gear for Beer - or Donate Gear for Beer.